Compare today's prices and special offers - buy Moet for less! 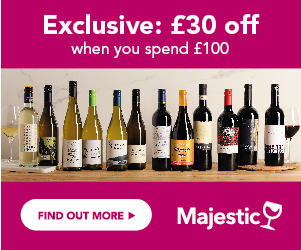 Select your favourite range, unique gifts and all sorts of bottle sizes. Check out our regular Deal of the Day updates and set up Price Alerts to never miss a deal again! Why is Moet & Chandon Champagne so good? Standing way above its nearest competitor, Moet has held the top spot in the Champagne stakes in the UK for many years. No wonder, Moet & Chandon holds Her Majesty's Queen Elizabeth II Royal Warrant of Appointment. With sales of over 26 million bottles a year and vineyard holdings of over 1000 hectares, it dominates the market both at home and abroad. With sponsorships stretching across the fashion and celebrity world, Moet is also a co-owner of luxury goods company Louis Vuitton Moet Hennessy, established in 1987. It recently appointed tennis champion Roger Federer as brand ambassador, employing his talent, passion, determination and success to enhance the brand’s personality. One of the most discussed topics regarding this brand is how the name is pronounced! The correct pronunciation is ‘mo-wett’, with the final ‘t’ being pronounced, reflecting the name of the founder, Claude Moet. The UK is one of the top 4 export markets for Champagne, with sales undergoing a massive growth over the last 20 years – it now accounts for almost one quarter of all exports. Throughout this time Moet has held the top position. We saw a dip in Champagne sales in 2013, as the recession kicked in, but Champagne is now a drink enjoyed by a very wide section of the wine drinking public. With the vast amount of vineyards under its ownership, Moet produces a range of non-vintage and vintage champagnes, with its land-holdings ranging across the three main Champagne sub-regions, Montagne de Reims, Vallee de la Marne and Cote des Blancs. The company also owns the prestigious Dom Perignon brand. What's The Background To Moet? Moet was founded in 1734 by Claude Moet, who began the task of transforming a small wine company into a prestige business. However, it was his grandson, Jean-Remy Moet, who almost single-handedly built the foundations of Moet’s international fame and reputation. It was his goal to spread his vision of ‘sharing the magic of Champagne with the world’. Jean-Remy bought up vineyards, including those of the Abbaye de Hautvilliers; it was here that the legendary monk Dom Perignon discovered the process of secondary fermentation, which was to make Champagne unique. By the early 19th century, Moet was a favourite at the French court and internationally. Jean-Remy Moet met Napoleon in 1804 and swiftly made his brand a producer of the most lauded Champagne worldwide. Many great leaders of that time were influenced in favour of Moet by Napoleon, including the Tsar of Russia, Duke of Wellington and Queen Victoria. Jean-Remy became the best known wine maker in the world in this era. The now famous house brand ‘Brut Imperial’ was named in Napoleon’s honour. Initially known as Moet & Cie, the company was renamed Moet & Chandon in 1850 when Jean-Remy retired and handed over to his son and his son in law (surname of Chandon). By 1880, the company was employing over 2000 people and producing over 2 million bottles of Champagne, still largely consumed by the nobility and higher social spheres! Having launched Brut Imperial and Moet Vintage in the 1860s, the prestigious Dom Perignon Cuvee was launched in 1920 and set the trend for super-premium Champagnes. Perceived as the most perfect - and also the most expensive - Champagne, its launch was followed by many other ‘super premium’ cuvees by other houses, but none of them came close to the status and reverential image of the popular ‘DP’. Having acquired a number of prestigious businesses, such as Ruinart, and Mercier Champagne, Hennessy cognac and Dior perfumes, the company became the luxury goods firm LVMH in 2004. What Styles Of Wine Does Moet Make? Moet Brut Imperial NV - the famous house style, with a blend of predominantly Pinot Noir and Pinot Meunier, with around 20% of the more delicate fresh Chardonnay; produced from over 100 wines, many of them reserve level Champagnes. This iconic brand is also the darling of the fashion set, with mini Moet bottles and silver straws a stylish favourite! Moet Rose Imperial NV - racy, fruity and very stylish, the Rose NV is another blend of predominantly Pinot Noir and Pinot Meunier (including 10% red wine to add colour), with a lower proportion of Chardonnay. Moet Nectar Imperial NV - with a similar blend as the Imperial Brut, but with a higher dosage (around 45g), this is a rich, off dry blend, with a very fruity and stylish taste. Moet Imperial Ice NV - another off dry Champagne, with a higher dosage, this blend, with its icy white label, was created in recent years, specifically to be drunk over ice; the richer flavours cope better with the dilution of the ice. Moet Vintage - made only in exceptional years, from grapes of one vintage, Moet have now made 69 vintage wines, the latest being the rich and stylish 2006.